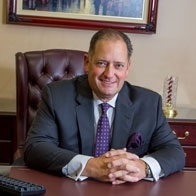 A native of Jersey City with a bachelor’s degree in accounting from St. Peter’s College, John has been a CPA since 1987 and began his own financial planning firm in 1989. John is also a Personal Financial Specialist (PFS) and Certified Financial Planner®. In 1989 he expanded the CPA firm to include financial planning, to give his clients the same high level of service and support they had become accustomed to when working with him for tax planning. "When I referred my tax clients to other financial advisors, I saw that many clients were returning with plans that didn’t address their goals adequately. The planners weren’t really paying attention to my clients’ needs,” John says. “That concerned me enough to make it my business to offer reputable financial planning services in my tax office.” As the founding partner of an independent financial planning firm, FFP Wealth Management allows John to provide each client an individualized plan using the firm’s Wealth Maximizer. This thoroughly analyzes a client’s situation before building a cohesive, long term plan with special attention to the years leading up to and immediately following a client’s retirement. Today, John and FFP Wealth Management are not only servicing the financial planning needs of his growing list of clients, but he is actively mentoring and offering advice to over 115 CPA firms around the country, who wish to transition their business to include financial services for their clients. He has written several articles, spoken at tax seminars and even co-authored a book with his brother Joseph on the subject. John has also been an active member within his community throughout the year. He was a coach of several sports teams and as a board member for the Windmill Alliance providing jobs and housing for mentally and physically challenged adults. As a past president of the Bayonne Family YMCA, he turned around a near-bankrupt organization, paid off all debt and generated annual profits in excess of $100,000 while providing housing, daycare and health club services.